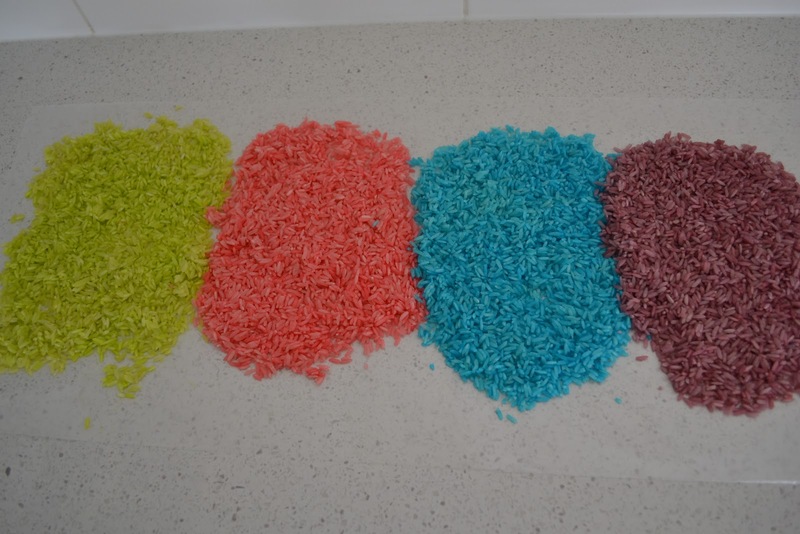 Put 1 tsp of water into a bag and add food colouring directly into the water, 4-5 drops is about right. 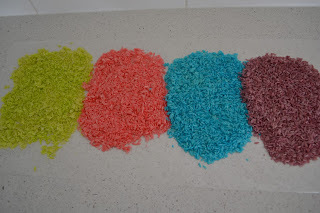 Pour half a cup of rice into the bag, seal, and squish the rice around until all coated in the food dye. I flattened the rice out, still in the sealed bag, and let it absorb the colouring for about 15 minutes. Break up the rice whilst still in the bag (it will have hardened a bit). Empty the bag out onto waxed paper, and spread the rice out to allow it ti dry fully. You're done! It's play time!